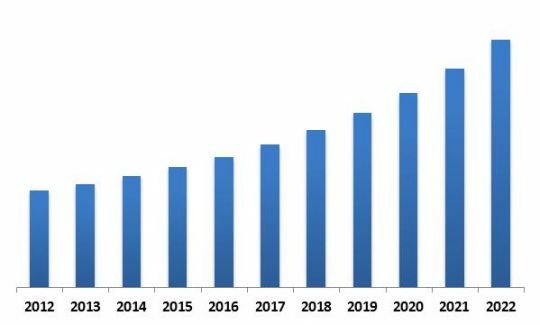 According to a new report North America Self-Organizing Networks Market, the market is expected to attain a market size of $2.8 billion by 2022, growing at a CAGR of 9.7% during the forecast period. In 2015, US dominated the North America Self-Organizing Networks Market. The Country has registered revenue of USD 1,113.1 million in 2015. However, Canada is expected to witness highest CAGR of 12.2% during the forecast period (2016-2022). SON typically offers several benefits, for instance, it offers superior network traffic management, minimize operational cost, improve customer satisfaction and effectively manage load balancing. Global mobile data traffic would witness an unprecedented growth in the years ahead. By 2020 large part of the crowd will be access to mobile phones (with some measure of online access) than to any other commodity. Subscribers have an increased inclination for multimedia services, with video and social networking making up 60% of data traffic as of now. 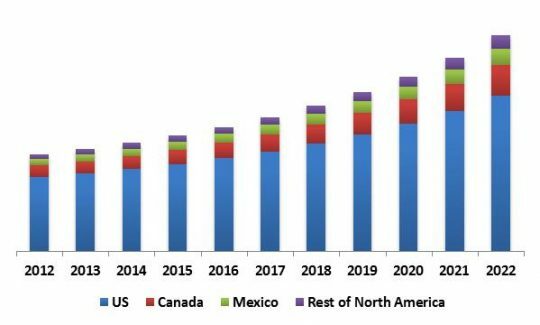 In 2015, 2G/3G segment dominated the North America Self Organizing Networks market by Cellular Networks type. The segment has generated revenue of USD 1,083.6 million in 2015, growing at a CAGR of 14.9% during the forecast period. In 2015, Centralized SON segment dominated the North America Self Organizing Networks market by Architecture type. The segment has generated revenue of USD 716.5 million in 2015. However, Hybrid type SON would witness highest CAGR of 12.8% during the forecast period. The report has exhaustive quantitative insights providing a clear picture of the market potential in various segments across the globe with country wise analysis in each discussed Country. The key influencing factors of the North America Self-Organizing Networks market have been discussed in the report along with the elaborated company profiles namely Rohde & Schwarz GmbH, Siemens AG, ZTE Corporation, Cisco Systems, Inc., Huawei Technologies Co., Ltd, Amdocs Ltd, Cellwize wireless Technologies Pte ltd. and Qualcomm Incorporated.